Delhi-based non-profit Centre for Science and Environment (CSE) welcomed India’s decision to ratify the Paris Agreement after the country deposited its instrument of ratification in the United Nations on Sunday. The Paris Climate Agreement was adopted by the Parties to the United Nations Framework Convention on Climate Change on December 12, 2015. It seeks to keep global average temperatures from rising above 1.5°Celsius as compared to pre-industrial years. The Paris Agreement shall enter into force on the 30th day after the date on which at least 55 Parties to the Convention, accounting in total for at least an estimated 55 per cent of the total global greenhouse gas emissions, ratify it. Till now, 61 Parties have ratified it, accounting for 48 per cent of global emissions. With India’s ratification, the Paris Agreement inches closer for entry into force. “By being in the club of early ratifiers, India has shown itself as a responsible and serious global player in climate negotiations. But ratification is just the beginning of tough and difficult negotiations ahead. India will have to pay an important role in making the Paris Agreement effective and equitable,” Chandra Bhushan, CSE deputy director general, said. The Paris Agreement is weak and not enough to keep global average temperature rise below 2.0°Celsius as compared to the pre-industrial era. Developed countries have pledged low emission cut targets and consequently developing countries have also not been very ambitious. Currently, the US intends to cut down its emissions by 26-28 per cent by 2025 against the 2005 levels. 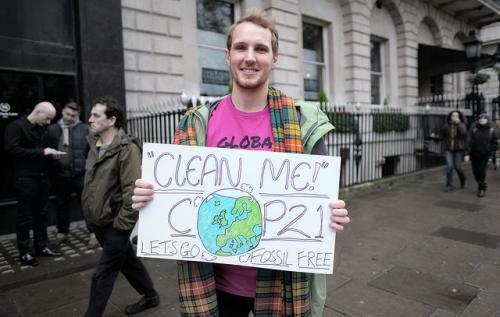 The European Union has pledged to cut its emissions by 40 per cent by 2030 against the 1990 levels. These targets are clearly insufficient to meet the 2.0°Celsius target, CSE feels. “The Paris deal is weak and erases historical responsibility of the developed countries in addressing climate change. However, there is still enough scope for equity and ambition in the current framework of the Paris Agreement. India should strive to bring equity back into the climate agenda,” Sunita Narain, CSE director general, said. India is experiencing the impacts of climate change such as extreme weather events, frequent draughts and floods. A 2.0°Celsius warmer world would be devastating for the water and agriculture sectors and affect millions of people, CSE researchers say. “The rule book for implementation of Paris Agreement is yet to be negotiated. India should play an important role in issues of adaptation, finance and loss and damage in the upcoming climate talks in Marrakesh as these issues are important for the poor and vulnerable population of the country,” Chandra Bhushan added. COP 21 and India's plan on climate change: What does it mean for our food systems and cultures? Long-term low emissions development strategies and the Paris Agreement: Why, what and how?